Hobbits & Hairdye: Hello 2014. First of all, Happy New Year! 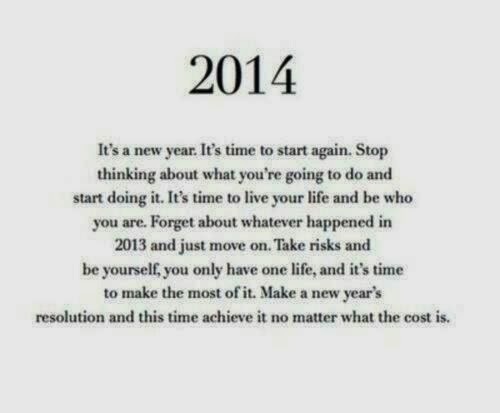 2014 is officially here, I hope you all had a wonderful New Years Eve saying goodbye to 2013 & welcoming 2014. In my most recent post I talked about all the little (& some bigger) things I want to achieve for 2014, but as the new year is now here I wanted to quickly talk about the personal things I want to achieve for myself as an individual. For me 2013 had a lot of ups, but it also had a lot of downs and I want to do my part personally in ensuring that the inevitable downs of 2014 don't overshadow the ups. 2013 made me realise how much I actually do worry, obviously worrying is a natural part of life, but I tend to take it to the next level and worry about things that I have no control over or things that happened in the past that I can't change and I find myself beating myself up about things that I did when I was younger and panic about things I'll do when I'm older. Its not healthy and I really hope to address that this year! Obviously worrying won't go away completely but hopefully I'll only worry about the things that actually need to be worried about. Obviously I don't mean that in a negative way like 'I only care about myself you go away' kind of thing, I mean as in stop putting myself out there so much to help other people when they don't really give the same treatment back. I need to start thinking about my feelings, needs & efforts rather than thinking about the people who don't necessarily respect or appreciate me and my efforts. At the same time, I do think I need to be more open with people about issues and not necessarily worry about what people think about it, for my benefit if anything. In 2013 my anxiety got quite severe & I became a very low person and still to this day no one really knows about it, partly because I don't think they'll fully understand it. I hope this year to be able to discuss these things with those close to me and help them understand it and in turn help me to deal with it. In both mind & body. Health is such an important thing and I think personally, I really take it for granted and I think I need to work on being kinder to both my mind & my body and keeping both strong and healthy. For me this is the most important, I just want to be happy, I want to look back at 2014 and think 'Damn I was so happy this year.' I spent a lot of 2013 not feeling very happy for numerous reasons and I feel like I wasted so much time! So my biggest personal goal is to be happy with myself, with my life and with all the people that surround me. Was this a little bit cheesy? I don't care its New Year we're aloud to be cheesy, just be glad I didn't whack out the 'new year, new me' line, people seemed to really hate that one this year. Whats your best achievement from 2013? A very Happy New Year! 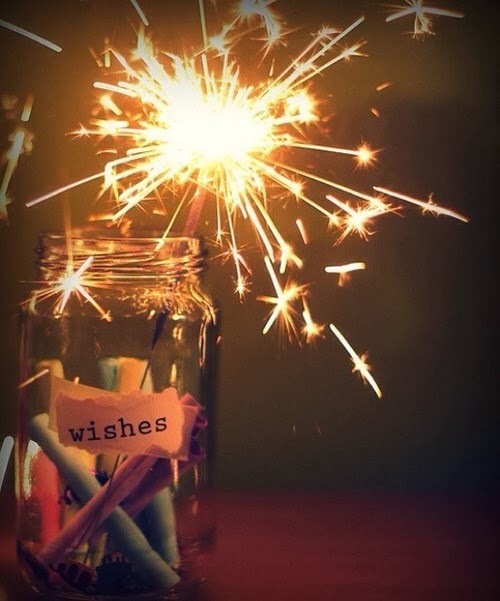 I hope 2014 is the best one yet for you!